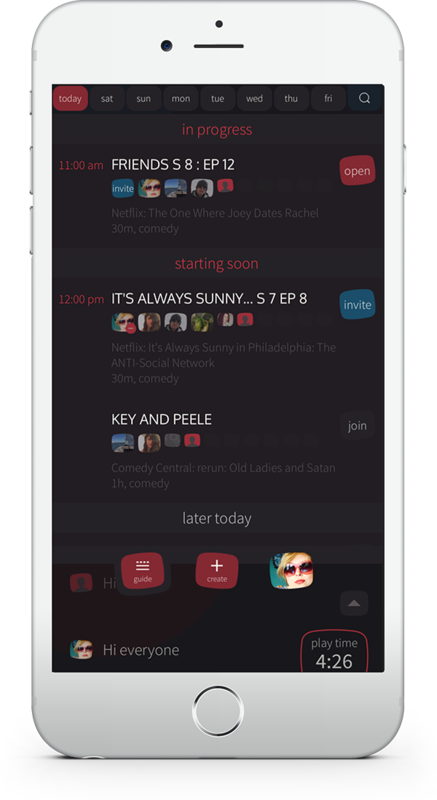 bingee is a fun new social app for binge-watching. bingee connects you anytime, anywhere, with others watching the same show at the same time. 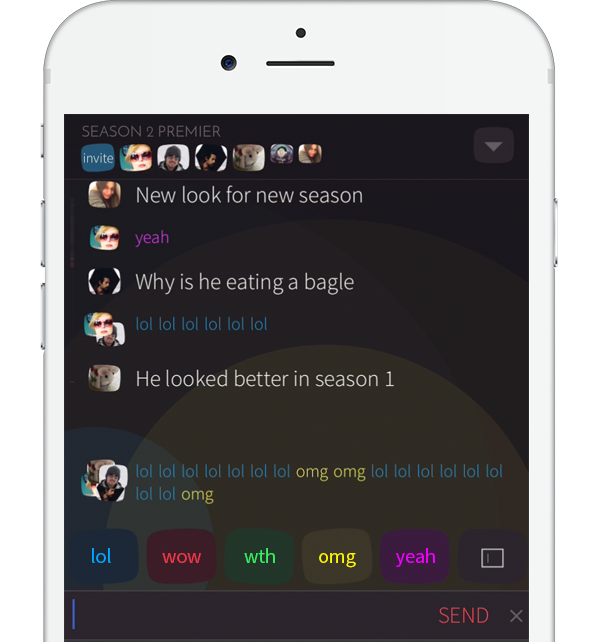 chat, laugh, and share sentiments as you “bingee-watch” with your friends or other fans – all in the moment. bingee is the first dedicated second-screen experience for group binge watching. It’s super easy. start bingee on your second screen, like your iPhone® or iPad® then, hey presto, share the fun of binge-watching together ! or start your own bingee, just follow the easy prompts to set up your very first bingee!